A person#s collection offers a glimpse of their personality. You can bring your personality into a living area with just 24 inches of Wall space, using this curio. 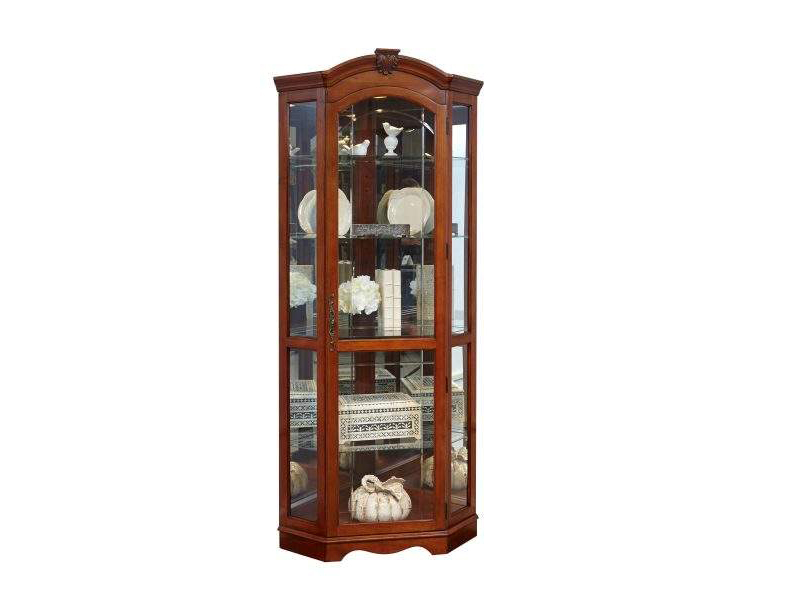 Our Curio is built of select hardwood solids and Veneers with a dark Medallion Cherry finish. Traditional European style elements include an arched bonnet With acanthus scroll keystone, Canted sides, and a shaped base. The Curio has beveled glass on the door, a mirrored back, halogen lighting, adjustable glass shelves, and adjustable glides for leveling.